By a strange coincidence as I was preparing to write this, a post showed up in my reader with some research on the origins of this recipe. Apparently it has some Jewish roots and comes from the regions of Ukraine and Moldova, where people enjoyed it for years with a myriad of variations. It has a pleasant refreshing taste but I was surprised to discover that many people enjoy drinking slightly fermented brine than eating the greens. In any case this is very simple to make and goes well with any meal. As with most recipes published here you can’t really screw this up. I started with 2 bunches of leaf lettuce (you probably want to start with one), garlic (young garlic is preferred, but I didn’t have it), and a bunch of dill. 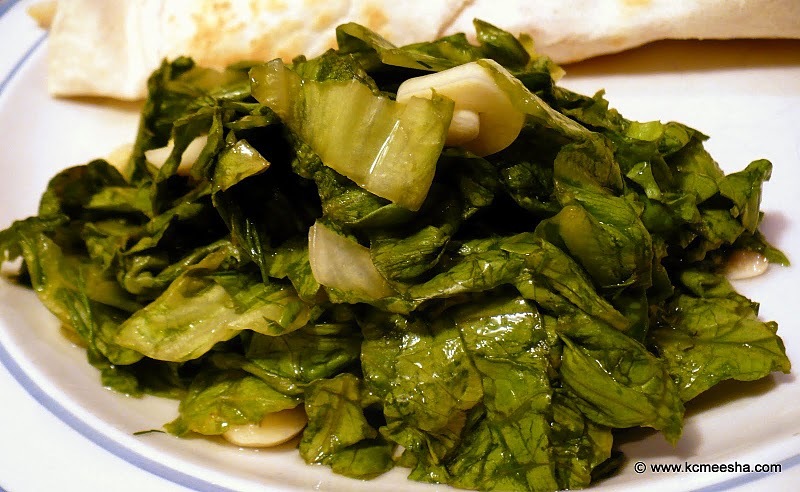 Chop dill and garlic, cut and throw away the thick ends off the lettuce and chop or chiffonade the rest in 1/4” or wider strips. You cannot have too much of any ingredient here, so don’t bother weighing and measuring. Place everything in a bowl or container. In a pot heat up some water, add salt, white vinegar and sugar to taste. The taste should be pleasant, not too sweet, not too sour, not too salty. We are not making pickles here or brining a turkey, make it so the taste is enjoyable to you. Heat up the liquid until it boils, then let cool down a little. There should be enough liquid to submerge the greens, but keep in mind that they will compact to about a third of the original size. Pour warm brine over the green mix and let sit on the counter until it cools completely or even overnight. It’s ready to eat in just a few hours. According to the article I read, many people add a piece of rye bread to promote fermentation and consume the resulting refreshing drink. In my family we just eat it as a salad, but I must admit that I never drain it and enjoy the brine as well as the greens. 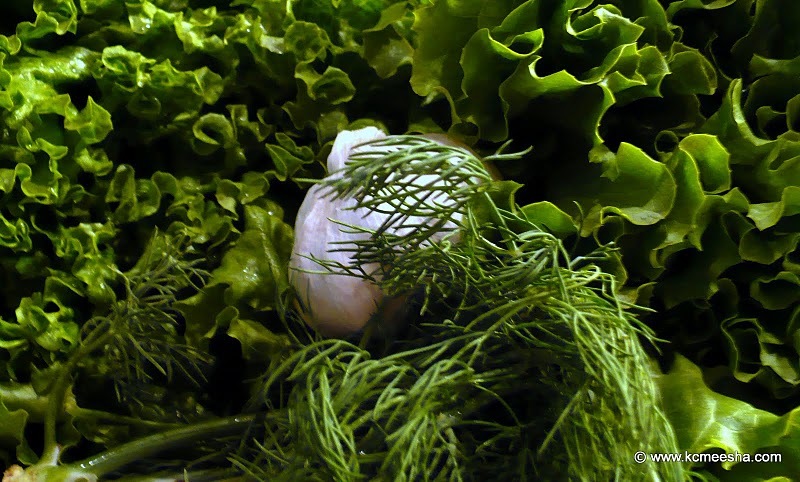 When I was growing up® and the produce was still seasonal, this was a welcome taste of the spring and early summer – fresh, green, smelling of dill and garlic. 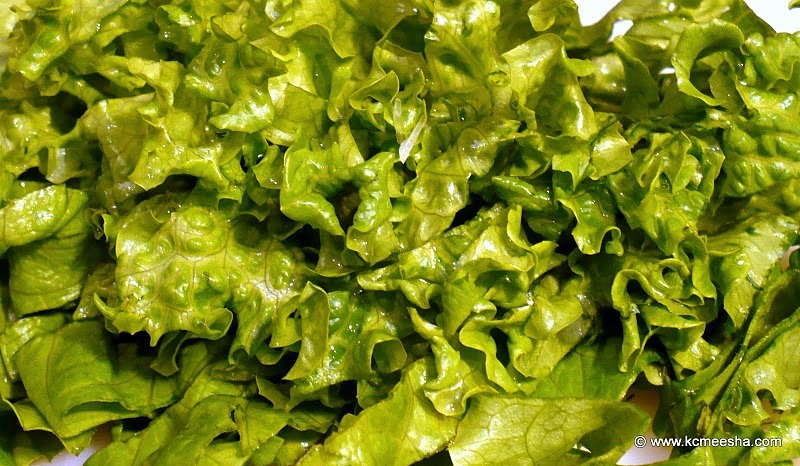 Nowadays, you don’t have to wait til May to try your first lettuce of the year but somehow it still tastes better around this time.